Should you stay or should you go? It all depends on what you’re looking for in a travel nurse contract extension. By definition, travel nurses have the opportunity to move from place to place, and hospital to hospital all over the U.S. with every new assignment. Part of the fun is finding the next position offering the pay package you need, the location you want, and the facility that will help you grow professionally. 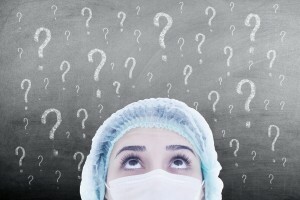 Most of the informative articles and tips circulating about travel nursing relate to helping you find a new assignment, and yet information about extending your current assignment seems almost absent from the narrative. This article will break down the pros and cons of extensions, and how to talk to your recruiter and facility about this option. An extension is when a healthcare traveler chooses to extend their current contracted assignment for an agreed-upon number of weeks. The length of the extension varies depending on what the hospital needs and what you’re willing to do. It’s easy. For everyone involved, extensions require less work to arrange. All of your paperwork is done, so you won’t have onboarding or orientation at the facility. You have housing set up and you already know your way around the city. Licensing and testing are already complete. Just sign on the dotted line to extend and you’re up and running! It means you get more time to enjoy your current location. Maybe it’s the new people you’ve met that you’re not ready to leave behind quite yet or the hiking trails you haven’t had time to explore, or maybe you just need more time to think about where you’d like to go next. You can still negotiate. Usually, recruiters provide the best deal possible on your first contract at a facility, but sometimes you can redistribute expenses into your pay package such as travel stipends, expenses for drug/TB testing and physical, criminal background check (if ordered by facility), or compliance and credentialing costs. However, if you’ve never traveled with a company before, you may have already received things like a sign-on bonus and other one-time-only perks in your first assignment’s pay package, so keep that in mind. It’s flexible. On new assignments, the number of weeks you’ll be there is set in stone on your contract, and most facilities aren’t interested in shortening the length to appease a traveler. If you’re offered an extension, however, the facility knows you’re acclimated to your unit. Having you stay on, even if only for half the length of your first assignment, is more efficient than orienting a new traveler in your place. Unconventional contract lengths are typical for extensions, so you have more control over how long you stay. It’s not in your best interests. Feeling pushed into an extension is the most basic reason why extensions can be bad for you as the traveler. Make sure you communicate to your recruiter how you feel about every aspect of the assignment throughout your contract. If there is something that can be changed to make your experience better, your recruiter can help you consider your options by pinpointing exactly what’s making you unhappy. Otherwise, your recruiter may not know what needs to change and therefore cannot help you in a meaningful way. If your recruiter knows why you’re unhappy and they aren’t actively submitting you elsewhere per your request, it might be time to find a new recruiter. You’re unhappy at the facility itself. If you’re unhappy at the facility, and other factors don’t make staying worth it (like money), then extending may only be an option for you if no new contracts work out. Again, communicate with your recruiter and make sure they are actively submitting you to new positions so you have a new assignment lined up. One of the beauties of being a travel nurse is that you have the option to move on after a relatively short time, no questions asked. You’re approached about it by your recruiter and/or facility. Hospitals typically start to consider extensions up to four weeks prior to the end of your current contract. Sometimes you’ll get more notice; depending on the time of year or census patterns of the facility, hospitals may release their needs well in advance. You’ll be approached by your recruiter to weigh your options when they’re made aware of an opportunity to extend. You bring the idea to your recruiter. Whenever the thought to extend occurs to you, it’s never too early to let your recruiter know. They can tell the facility you are interested in and start the process of arranging a contract that maximizes your income. Also, keep an open line of communication with your nurse manager so they know you’re interested in staying and they can work on getting any necessary approvals for the contract extension in advance. Also, be prepared to discuss time off requests with the nurse manager and your recruiter. You want to have those ready to go and approved up front to get the contract locked down quickly. Your recruiter can help you navigate an extension even before a facility’s needs are released. Just like you would for a new assignment, the earlier you start hunting – even if you’re looking to stay put – the better your odds of a successful placement. Contract extensions should be carefully considered on a case-by-case basis – every assignment is different, and your reasons for staying may change depending on your circumstance. Extensions are a great way to get more of what’s important to you at the time; whether it’s more of the people, more money, more time to explore, or simply more time to find your next destination without a lapse between assignments. Whatever your reasons to extend, they’re your reasons. Communicate openly with your recruiter and maybe your dilemma, to extend or not to extend, will cease to be a dilemma at all. About the Author: Megen Robbins is the Marketing Supervisor at Cirrus Medical Staffing, a full-service healthcare staffing agency and travel nurse company. In her spare time, she’s usually hanging out with her two children under age 4, while simultaneously daydreaming about alone time. Find more travel nursing job advice, tips, and news on the Cirrus blog! Happy Travel Nurses Day 2018! 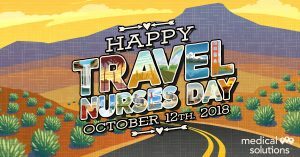 Travel Nurses Day is Friday, October 12th, 2018! Are you ready to celebrate? Falling leaves and temperatures aren’t the only harbingers of fall. For travel nurses, another sure sign of the season is Travel Nurses Day! Medical Solutions created the annual holiday in 2013 to recognize and appreciate hard-working travel nurses everywhere. As a travel nurse, we invite you to join in the fun on Friday, October 12th! Over at Medical Solutions, the sixth annual Travel Nurses Day celebration is already in full swing. Starting today, you can play quizzes, enter contests, listen to music, and win PRIZES all week long! This year’s quizzes can be taken as a means to enter to win one of 10 $50 Amazon gift cards. The #PostcardsFromTheRoad Photo Contest asks travelers to share images from their journeys for the chance to win one of five $300 Amazon gift cards. You can visit TravelNursesDay.com anytime starting now until midnight, central standard time on October 14, 2018. Prize winners will be announced the following week. Happy Travel Nurses Day to all you amazing travelers out there! A look at Hurricane Florence from space. The Category 2 storm is expected to hit the East Coast this weekend. 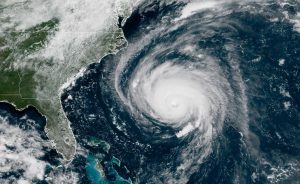 Hurricane Florence is expected to make landfall near the Carolina coast later today and into the weekend. Forecasters are already calling it “the storm of a lifetime.” Are you in the path of the storm? If you are, don’t panic. Here’s what travel nurses can do to stay safe before and after a natural disaster while on assignment. Learn your facility’s emergency response plan: Most facilities have an emergency response plan in place to protect their patients and staff during critical events or natural disasters. In some cases, hospitals will even evacuate their patients if they can. However, just like hospitals, no two emergency response plans are alike. So, make sure you understand your role within that plan. Your unit manager should be able to brief you on your specific role and answer any of your questions. Stock up on supplies: Prepare for what you’ll need before and after a natural disaster. The American Red Cross recommends this handy checklist of emergency supplies. For example, you should have a 2-week supply of non-perishable food and water as well as a full tank of gas in your car. You may also want to purchase a battery-powered NOAA Weather Radio so you can get the latest information from the National Weather Service. Consider your housing situation: Make sure you have a Plan B for housing in the event that your current living situation becomes uninhabitable. Talk with your recruiter and your facility managers beforehand to determine your best course of action. Contact your friends and family: Let your loved ones know you are safe. You can do so on Facebook or use the Safe and Well website. As a travel nurse, it’s also a great idea to put your recruiter on this list. Avoid flooded areas and downed power lines: Flooding brings with it the risk of waterborne bacterial contamination and downed power lines pose a potential threat in the aftermath of a storm. Don’t drink the tap water until authorities have given the all-clear. Tap water might not be safe to drink immediately following a natural disaster, so use your bottled water and/or boil the tap water before you use it. Should you ever find yourself preparing for a natural disaster while on assignment, we hope these tips can help you stay safe. Thank you to all the travel nurses who have weathered similar storms or disasters in the name of patient care! You inspire all of us! What’s on your wish list for a travel nurse holiday contract? Follow these tips to get the best experience! Plan Ahead: Seasoned travel nurses know the early bird gets the worm, or in this case, the ideal assignment. They also know that October, the month when most holiday contracts begin, tends to be a busy time in the industry. (Hello flu season!) However, while demand for travel nurses is high, so too is the supply. Many travel nurses like to get one more assignment into the books before the year ends. This means competition for these jobs could be intense. So, it’s wise to start your job hunt in August or September if you’re planning on working a holiday contract. Make Your Contract Work For You: There’s a common myth among travelers that a holiday contract means you’ll automatically be working all holidays. However, that’s not necessarily true. For example, some hospitals might not want you to work any holidays while on contract because they simply can’t afford you to do so. Then again, other hospitals may only be hiring travel nurses to help fill in during the busy holiday season. In any event, if you don’t want to work on or around certain days, simply communicate your preferences during the interview process and ensure these requests are written into your contract. Talk with Your Recruiter: Chances are your recruiter has had plenty of experience helping travel nurses like you find their ideal assignments. So, help them help you. Let your recruiter know which states you’d prefer to work in as well as which holidays, if any, you are willing to work. They might not always be able to get everything you’re looking for, but it is super helpful to have an industry insider’s guidance and negotiation skills when you need them. Competition for Post-Holiday Contracts Is High: Do you plan to skip the holiday assignment and start traveling again after the New Year? You’re certainly not alone; after all, that’s the beauty of the travel nursing career! If you do decide to take the holidays off, you might want to wait until mid-January to find your next assignment. Early January is yet another peak season for travel nurses, and competition for these jobs is high. For those already on assignment, it might be a good idea to extend your current contract, if that option is available to you. Your job hunt will certainly be less stressful! Have you worked a holiday contract before? What other advice would you suggest? Leave your comments in the section below! TravCon 2018 is coming soon. Will you be in Las Vegas this fall? We know summer just started, but we’re already counting down the days to the 2018 Travelers Conference this fall! For those in the travel nurse industry, this event is kinda like the Super Bowl and Christmas all rolled up into one fun-filled weekend. Read on to learn 7 facts you might not know about TravCon 2018! The Travelers Conference, affectionately known as TravCon, is the one and only conference for travel nurses. If you’re a travel nurse or just thinking about becoming one, then this annual networking event is for you! TravCon takes place in Las Vegas at Bally’s Hotel and Casino this September 9th– 11th So, while you’re there, soak up the sun, take in a show, or wine and dine in style on the famous Strip. Whether you’re new to the travel nurse industry or you’re a seasoned veteran, there’s a little something for everyone at TravCon. You can earn CEUs, connect with other travel nurses, make lifelong friendships, and learn new skills on how to manage your travel nursing career. Jeff Solheim, MSN, RN-BC, CEN, CFRN, FAEN is this year’s keynote speaker. Solheim is the founder and director of Project Helping Hands, a humanitarian nonprofit that deploys clinical teams worldwide to provide care. His background in ER nursing, travel experiences, and humorous outlook on life make him an ideal fit for this year’s conference. The seminar is one you won’t want to miss! Tons of exhibitors will be there, including healthcare staffing agencies, financial advisors, professional associations, retirement planners, and more. So, it’s an excellent opportunity to get answers to your burning tax questions, find the staffing agency that perfectly fits your needs, or simply gather information to launch your next travel assignment! Spouses or traveling companions are welcome to attend. TravCon recognizes your significant other is the wind beneath your travel nursing wings, so there are sessions exclusively planned for him or her too. Now is the time to register! Learn more about TravCon here. Are you going to TravCon 2018? Tell us what you’re most excited about for this year’s conference in the comments below! Nurses Week is May 6th to 12th! Get the most out of your Nurses Week with these deals! Nurses Week 2018 is almost here! Are you ready? 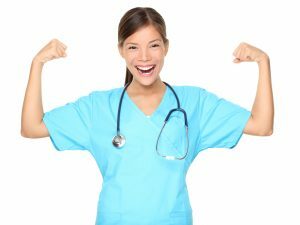 To help you celebrate your week to the fullest, Travel Nursing Central has compiled a list of Nurses Week discounts, freebies, and deals for you. Cinnabon: As the proud sponsor of the DAISY Foundation, Cinnabon is understandably all about nurse appreciation. During Nurses Week, show your medical ID badge to any participating Cinnabon store and receive a free, delicious treat full of gooey goodness! American Nurses Association: Interested in technology and nursing? Then ANA’s free webinar “Emerging Technology and Its Impact on Nursing Practice” is for you! Participants will earn a free CE and gain useful insight into the impact of technology on a nurse’s daily practice, real-world advice for adapting, and how to enhance patient care using technology. The live webinar is slated for May 9th at 1 p.m. ET. Registration closes at May 8th at 7 p.m. You can learn more here. Lippincott Nursing Center: Enter for a chance to win a $50.00 Scrubs.com gift card at Lippincott Nursing Center’s website. All you need to do is explain what #NurseStrong means to you when you complete their form here. Applicants will also receive a $10 off CE coupon just by participating. Medical Solutions: This travel nurse staffing company is pulling out all the stops for Nurses Week. Head over to WeLoveOurNurses.com and play trivia games, quizzes, and more for a chance to win some amazing prizes, including a $1,500 grand prize. Disney World: The most magical place on Earth loves nurses too. They offer a hotel discount to nurses at the Swan and Dolphin. When booking your rooms, use the code DREAMS to receive the discount. You will have to provide your medical ID badge at check-in to get the discount. For more information, click here. At DiscoverNursing.com, Johnson & Johnson continues to offer free nurse themed magnets, coloring books, a “Nurses Heal” pin, and many other complimentary resources including brochures, posters, videos, and software. Did we miss any Nurses Week activities or events out there? Let us know in the comments below. In the meantime, Happy Nurses Week to all you hardworking nurses! Where does your state stack up on the Top 10 lists for healthcare? U.S. News and World Report recently announced its annual Best States list. The publication evaluated all 50 states across 77 different metrics. When it came to examining the best and worst in healthcare, the states were ranked based on three board measures: access to healthcare, healthcare quality, and public health. Hawaii earned top honors this year, giving travel nurses everywhere one more reason to love the Aloha State. Meanwhile, Mississippi received the lowest grade in healthcare. 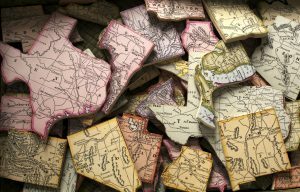 If you’re looking for your next travel nursing assignment, it’s not a bad idea to check out where your state falls on the list. Click here to read the full report and methodology. Thanks to the nature of travel nursing, you’ve probably had experiences as a healthcare professional in several, if not all, of these states. 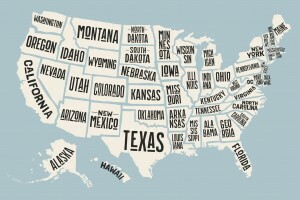 So, as a travel nurse, did the U.S. News and World Report’s list for best and worst states in healthcare surprise you? Let us know in the comments below! To be your best travel nurse self, it’s important to take a breather and de-stress when you can. There’s no denying that travel nurses work hard. And, with the added pressure of adapting to new environments, family, and social life on top of taking care of all your patients, it’s natural to get a little stressed every now and then. But, in order to be your very best, it’s important to not let the stress take control of your mind and body. According to the Mayo Clinic, stress can affect everything from sleep, anxiety, and even your mood. When working in the healthcare industry, this is exactly what you don’t want. So, it’s key to find ways to help you de-stress after a long travel assignment or even just a tough night shift. Nothing is better than a nice hot bath after a hard day’s work, maybe even paired with a tangy glass of wine. But, baths aren’t the only way to decompress with the help of a higher temperature. Take advantage of your surroundings! Is your travel assignment in Colorado or Utah? Is there a spa nearby? Use this opportunity to research what is around your area and look for local hot springs, saunas, or even mud baths. These offer the perfect chance to fully unwind, relax those aching muscles, and leave feeling like a new person. Not to mention your skin will reap all the benefits. Speaking of hot springs, did you know they are rich in essential minerals such as iron, sulfate, chloride, sodium, and calcium? These help with things such as blood flow, digestive functions, and more. If hot springs aren’t your thing, consider adding these minerals by taking dietary supplements. Giving your body the resources it needs to be its very best is a great start to getting rid of and fighting stress. If you are fully nourished, you’ll perform better. At the very least, ensure you’re taking a daily multivitamin and eating foods that provide you with all your body needs to produce the energy you need to keep up your knockout work ethic. Spinach, sweet potatoes, quinoa and blueberries are all superfoods that can help you get the vitamins and minerals you need. Sometimes you just need to get away. Even those who “get away” as part of their jobs like travel nurses, need an escape every now and then. Use your traveling opportunities to your advantage. Don’t stay cooped up in your apartment all day. Get out and explore the local attractions. Or, better yet, take an actual vacation. Travel somewhere just for fun, or take off a few days to spend some time at a local retreat. When you work as a travel nurse, the world is your oyster. Do everything you can and use it as a way to escape from the stressors of everyday work. Adding meditation into your daily schedule can truly do wonders, even if it’s only a 10 minute session. During this process the body decreases its production of cortisol and adrenaline, while increasing neurotransmitters associated with calm, including dopamine, serotonin, and oxytocin. 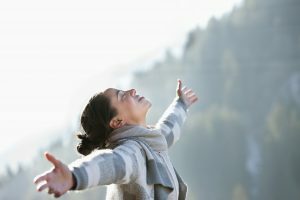 Besides these obvious health benefits, recent studies have shown that regular meditators experience more happiness, less anxiety, and greater feelings of purpose. After a long shift, exercising is probably the last thing you want to do. But, it’s a great way to get your mind clear and decompress. Whether a nice run or just a quick walk around the facility you work, moving around helps send energy throughout the body while also increasing blood flow to the brain. Like anything, this can differ person to person. But, when stress has a hold of you, it’s important to try a variety of things so you can relax and perform at your very best. As a travel nurse, stress doesn’t have to run your life. It’s important not to allow it to affect your mood, and energy; especially for the sake of your patients. Try these 5 ways to see what works best for you! Always remember, as a nurse you do a lot for the people around you so take the time out of your busy schedule to do something for yourself, too. With so many travel nurse staffing companies out there, it can be difficult to find one that’s right for you. Luckily, Travel Nursing Central is here to help. In fact, we’re thrilled to reveal our Top Travel Nursing Companies for 2018! The results are in! Find out which travel nurse companies earned the gold in 2018! We analyzed more than 5,500 reviews from actual travel nurses to rank approximately 215 healthcare staffing agencies. Several factors were evaluated including benefits, pay, housing, customer service, efficiency and more. To be considered for TNC’s list, each agency needed to meet certain criteria. They must have a website, have at least 20 reviews on our site, and have been voluntarily reviewed by a travel nurse in the last three months. Our annual honor roll reflects only reviews submitted during the previous year. We hope these reviews help you find your ideal staffing company! Did your travel nurse agency make the cut? Click here to see the full list. Are you ready for the new and improved eNLC? Since 2000, the Nurse Licensure Compact (NLC) has allowed nurses to provide care in multiple, participating states with just one license. Now, 25 member states and several years later, the National Council of State Boards of Nursing is giving the NLC a makeover. The new compact, known as the Enhanced Nurse Licensure Compact (eNLC), will be effective on January 19, 2018. Among other additions, the eNLC adopted 11 uniform licensure requirements and revised its policy on federal criminal background checks. Not all current NLC member states will be in the new eNLC. The NCSBN enacted the eNLC on July 20, 2017 when 26 states passed eNLC legislation. However, other states needed more time to become eNLC members, hence the January go-live date. 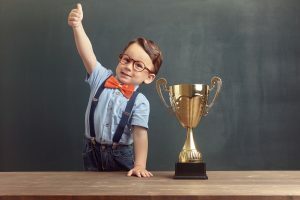 During this transitional phase, some states have passed legislation, others are in the process, and a few states, like Colorado, Wisconsin, New Mexico, and Rhode Island, will remain in the original NLC. The eNLC has a few new members. The good news is that Wyoming, Oklahoma, West Virginia, Georgia, and Florida are now part of the eNLC club. So, that means travel nurses who meet the new eNLC requirements will have additional states in which they can practice. These changes could affect you. According to the NCSBN’s website, travel nurses in eNLC states that were members of the original NLC may be grandfathered in. There are a few exceptions. If you obtained your perm state compact license on or after July 20, 2017, then you will need to meet the new eNLC requirements. Additionally, if you are in a state that was not part of the original NLC, but will be a part of the eNLC, then you will need to update your license to be eNLC compliant. Note that if you are in a state that has passed eNLC legislation, you will no longer have privileges in Colorado, Wisconsin, New Mexico or Rhode Island. You can, however, get a single state license for these states.